Here we are about to bid adieu to 2014. I am enjoying the last few days of the year with my family. And I sincerely hope you are forging new memories with your family and friends as well. I'm remembering the connections between family, traditions, and of course - food. I remember being in the Philippines during this time of the year - and my memories stir in me (pun intended), encouraging me to feature a dish called Molo Soup. This soup is comfort food for us during the holidays. 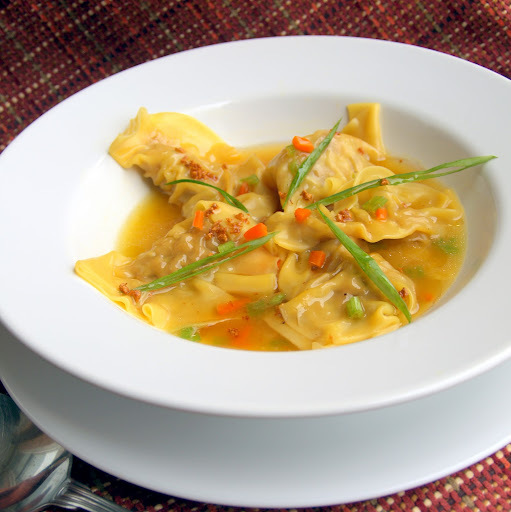 It is our version of a wonton soup. A soup that initially warms us with its broth, then upon biting into the wonton, takes us back thru time - with its burst of flavors triggering previously formed neural pathways - bringing us back to happy times celebrating past holidays. Indeed, the holidays are a special time. My kids are home and we're surrounded with laughter and love. It's also the perfect time to remember those who are no longer with us. That's what I love about traditional fare like this soup - they have the magical ability to connect the past with the present, and even the future as the recipe is passed down to our children. 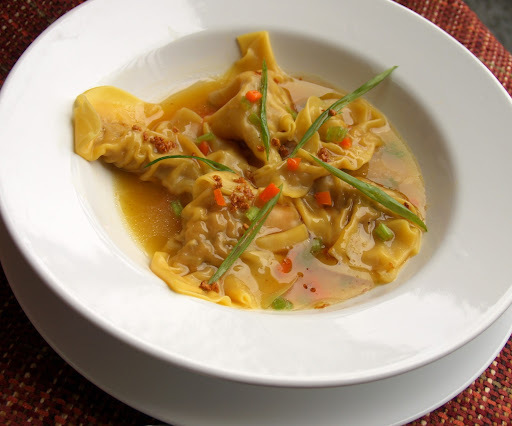 For this recipe, Skip to Malou brings the familiar flavors of the classic soup but infused some creative flare into it. Mix all ingredients in a bowl. Crack one fresh egg and stir briefly. On a flat surface, lay the wrapper. Put half a spoon full of the pork mixture at the center. Fold the wrapper and seal the edges. On a stockpot, let the soup stock to boil (you could use shrimp stock, chicken or beef stock). Drop the wanton into the pot and let it cook. Drop the chopped carrots, leeks and celery and gently drop the slices of tofu. On a pan, add 2 tbsp of annato oil and brown the minced garlic. When it's brown pour it over the soup. Garlic oil will enhance the taste of your wanton soup. Molo soup never fails to excite me. I love it because it reminds me of growing up and my mom making it for us. Like you, every spoonful brings a ton of memories for me. Hope your holidays were nice. 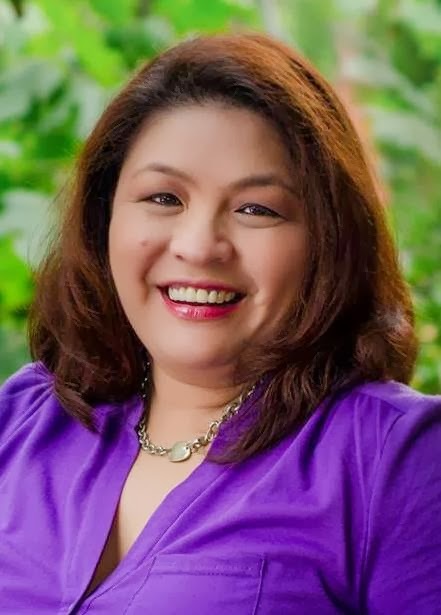 Happy New Year, Malou ! i hope you had a great holiday Betty Ann! Happy New year! I haven't done much blog-hopping these past days. Had I done so, I wouldn't have missed your molo soup recipe. I'm an Ilongga and I hate to admit that I still haven't mastered this Visayan soup. Thanks for sharing and cheers to another successful year for you! hello great to see you! I know one of these days you'll find the time to make your own molo soup. thanks for the info that this is a Visayan soup. hehe i didn't even know that. Yes, originated from Molo, Iloilo.